The eminent French cellist Jean-Michel Fonteneau is one of the leading performers, chamber musicians, and teachers. He has served as a professor of cello and chamber music at the San Francisco Conservatory for the past two decades while continuing to maintain an active performing career around the world. The eminent French cellist Jean-Michel Fonteneau has performed and taught around the world. As a soloist and chamber musician, he has appeared throughout Europe, Asia, Africa, and North and South America. He has served as a professor of cello and chamber music at the San Francisco Conservatory for the past two decades, in addition to performing and teaching annually at Yellow Barn. Jean-Michel is a founding member of the Quatuor Ravel which received top prizes at the Evian International String Quartet Competition in 1989 and won the Victoire de la Musique Classique in 1994. The Quatuor Ravel performed annually at the Concertgebouw in Amsterdam, as well as regularly at the Théâtre des Champs-Élysées, Salles Gaveau, and Suntory Hall. They also toured extensively throughout the United Kingdom, Germany, and North America. 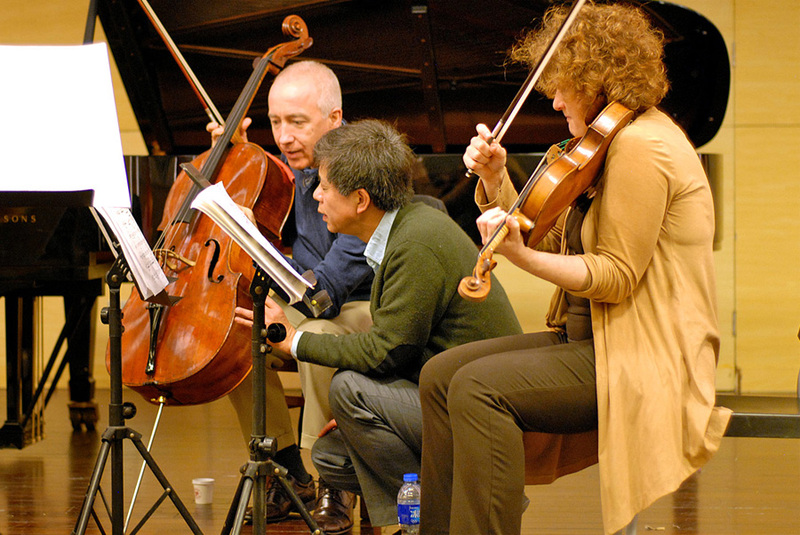 Jean-Michel created and led the first ever string quartet residency program in France. Recent collaborations include performances with Leon Fleisher, Peter Frankl, Claude Frank, Nobuko Imai, Gilbert Kalish, Kim Kashkashian, Anthony Marwood, Menahem Pressler, and Mark Steinberg. Jean-Michel has also performed alongside the Amadeus, Escher, Fine Arts, Pro Arte, and Tokyo Quartets. He has recorded extensively for Albany Records, MSR Classics, Centaur Records, and Musidisc-France. A passionate and dedicated teacher, Jean-Michel previously served on the faculty of the Conservatoire National Supérieur de Musique in Lyon, France before coming to San Francisco. His students have won international competitions — including the Bordeaux International String Quartet Competition — and gone on to major solo, chamber, and orchestral careers. His students have appeared at Carnegie Hall, The Kennedy Center, the Concertgebouw, the Wigmore Hall, the Verbier Festival, and on many more of the world’s premier stages. In addition to his annual residence at Yellow Barn, he previously taught at Domaine Forget, the Casalmaggiore International Music Festival, and the Morges Summer Academy in Switzerland. Jean-Michel is currently a member of the San Francisco Piano Trio together with violinist Axel Strauss and pianist Jeffrey Sykes. 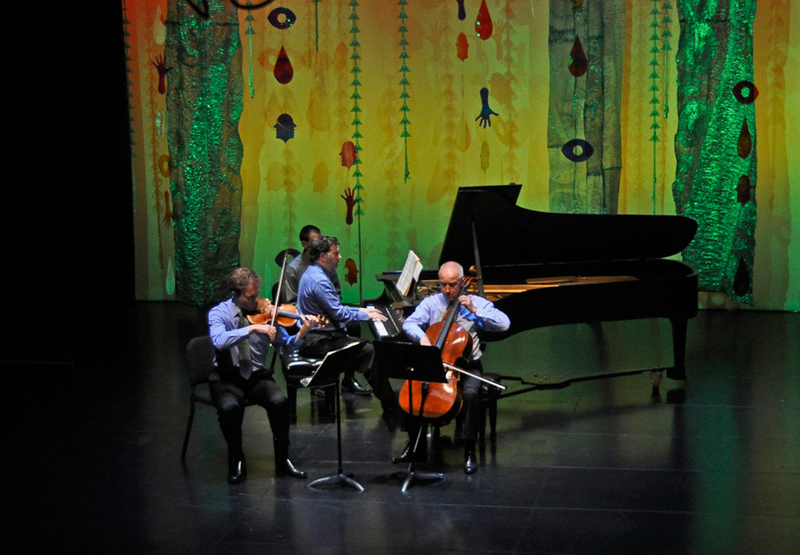 The Trio performs annually at the Bach Dancing and Dynamite Society, along with regular performances throughout North America. He also performs regularly with the Houston-based Music in Context ensemble dedicated to historically informed performance on period instruments. Jean-Michel studied at the Ecole Normale Supérieure de Musique de Paris and plays cellos made by Francesco Goffriller in 1730 and Andrew Carruthers in 2016. He lives in Berkeley, CA together with his wife Dana. This workshop will help you organize your practice routines efficiently and help you become self-reliant musicians in the ever-changing field of music. Take any cello performance goal and break it down into simple, efficient and strategic practice plans to effectively reach your performance goals. Dates: Friday August 2, 4pm through Sunday August 4, 9pm. *You are responsible for your own travel, transportation, housing and food. *Registration is limited to 12 attendees. Physics and research in physics. Dynamic interrelation between mind and body. Dimitry Markevitch, Mark Drobinsky, and Martin Lovett (Amadeus Quartet). The 1976 Prades Summer Festival in the Pyrenees, France. 1989: My quartet, "Le Quatuor Ravel", won two major prizes at the Evian International String Quartet Competition and attained national and international recognition. J.S. Bach, Beethoven, and Henri Dutilleux. Concerts and masterclasses with Martin Lovett and Norbert Brainin (members of the Amadeus Quartet); Multiple concerts at SFCM with Robert Mann, violinist and founder of the Juilliard Quartet; Ongoing musical collaborations since 2000 with faculty and students of the Yellow Barn Music Festival in Vermont. 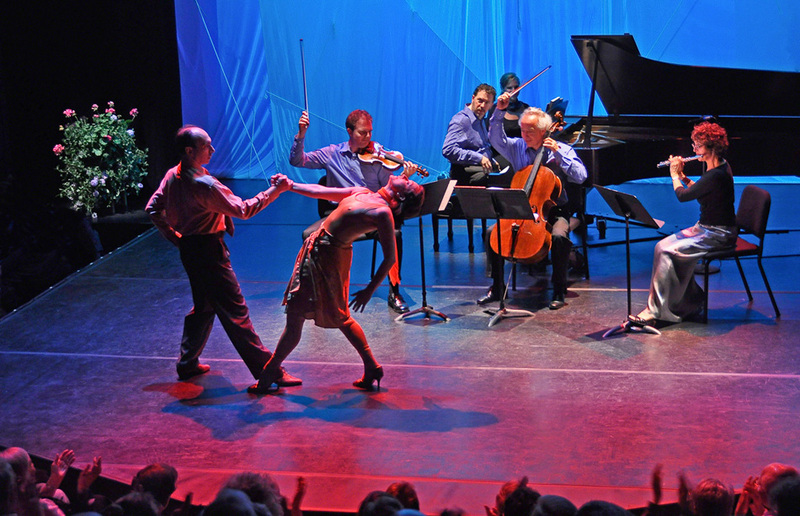 Bach Dancing & Dynamite Society has always cultivated a playful attitude toward classical music, so it’s fitting that they’ve chosen “Toy Stories” as a theme of their 27th chamber music festival. Now running through June 24, the festival consists of six programs, each performed twice and each clustering music together under titles like Teddy Talks, Play-Doh and Transformers. American Girls, part of weekend one, features music composed by women born in or residing in the U.S. (Plus a Haydn piano trio which was delightful, if only tangentially connected to the theme). Yura Lee was joined by Jean-Michel Fonteneau (cello) and BDDS co-founder Jeffrey Sykes (piano) for two piano trios: Haydn’s Piano Trio and C Major, and a 1921 one by Rebecca Clarke called, simply, Piano Trio. Composed over 120 years apart, the two obviously sounded quite different. And yet both were lovely reminders of chamber music as conversation: the exchange of musical materials between instruments and the pleasure of seeing how closely musicians watch and cue off of one another. At the Conservatory on Monday, before the performance began, cellist Jean-Michel Fonteneau announced that the players were using gut strings that were typical in the 19th century. In addition, instead of the forceful modern bowing technique for projection, they would use an older bowing technique that produces lighter pressure on the strings. From the first measure of the Mendelssohn quintet, the warmth and the depth of the sound, quite different from the modern timbre, were evident. With the strings under a great deal less tension than modern strings, instruments can vibrate more freely, Fonteneau explained later, producing a warmer, more resonant sound. In addition, colors of the five instruments on stage were more cohesive, blending those instruments and performers into a more uniform voice. The cohesive sound was most evident in the first measure of the second movement, Intermezzo. It opens in unison, but it then blossoms into a beautiful harmony as each of the five instruments acquired its respective voice. It made for a magical moment.